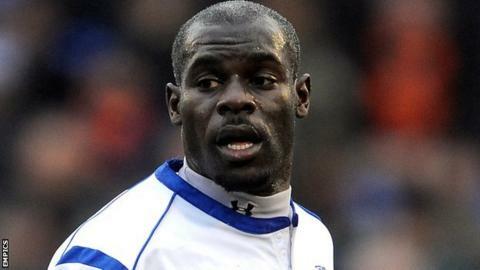 Notts County have signed striker Enoch Showunmi from Tranmere Rovers on a two-year contract. The 6ft 5ins Nigeria international, 30, started his career at Luton in 2003 and has also had spells with Bristol City, Sheffield Wednesday, Leeds and Falkirk. Showunmi told BBC Radio Nottingham: "It is a great club to be at and I am looking forward to the new challenge. "Hopefully we can look to achieve promotion and we are geared to be play at a higher level here." Showunmi, who joined Tranmere in 2010 and scored 17 goals in 79 appearances for the club, added: "Fans appreciate hard work and that's the minimum you get from me, 100%. "I will run all day long for the cause. I am just looking to win games and will put my body on the line, and I think fans appreciate that. "I am still an ambitious player. I have had couple of promotions with over clubs and couple of seasons in the Championship. Hopefully I can play in the Championship again."